The Occupational Safety and Health Administration (OSHA) provide guidelines on how organizations can help improve the health and safety in warehouse and distribution centers. 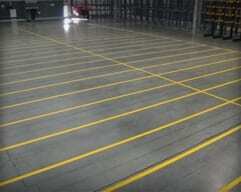 OSHA Floor Striping Standards… do not exist. 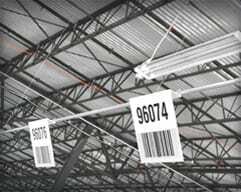 The Occupational Safety and Health Administration (OSHA) provide guidelines on how organizations can help improve the health and safety in warehouse and distribution centers. 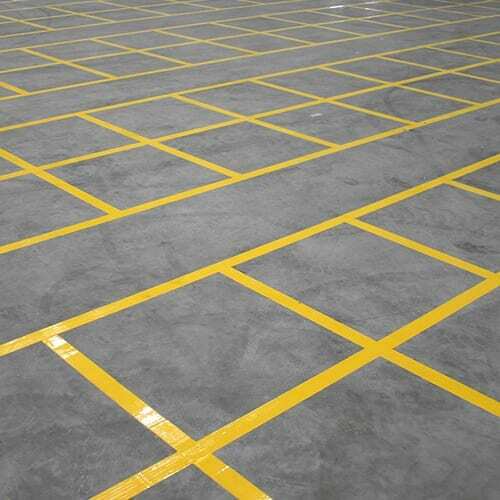 Warehouse floor striping allows companies to mark and identify aisles and passageways to be kept clear for safe operational workings and in the event of an emergency. 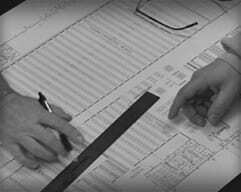 ASG Services work with companies and the OSHA guidelines to create the necessary markings. What About Aisles and Passageways? 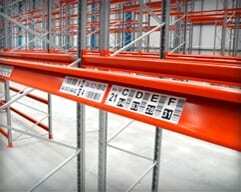 When using aisles and passageways to move materials mechanically, workers must allow sufficient clearance for aisles at loading docks, through doorways, wherever turns must be made, and in other parts of the workplace. Providing sufficient clearance for mechanically-moved materials will prevent workers from being pinned between the equipment and fixtures in the workplace, such as walls, racks, posts, or other machines. Sufficient clearance also will prevent the load from striking an obstruction and falling on an employee. Employers must ensure that all passageways that workers use remain clear of obstructions and tripping hazards. Workers should not store materials in excess of supplies needed for immediate operations in aisles or passageways, and employers must mark permanent aisles and passageways appropriately. Material Handling and Storage, OSHA 2236, 2002 (Revised), Pg 17. “DANGER” – Red, or predominantly red, with lettering or symbols in a contrasting color. “CAUTION” – Yellow, or predominantly yellow, with lettering or symbols in a contrasting color. “WARNING” – Orange, or predominantly orange, with lettering or symbols in a contrasting color. “BIOLOGICAL HAZARD” – Fluorescent orange or orange-red, or predominantly so, with lettering or symbols in a contrasting color. There is no specific guidance on aisle and passageway widths but does suggest colors to be used, which leaves the overall design and final layouts to the expertise of warehouse and distribution center operators, ‘expertise’ because they know their industry and facilities the best. They know the necessary work flows to ensure efficiency without causing safety risks. OSHA floor striping standards do not exist, so ASG Services provide advice and suggestions from their project archive and practices around the world. Pedestrian passageway – Typically created using tramlines or as a solid coating. Popular colors include yellow and green. Standard widths are 4ft. 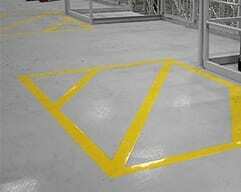 Pedestrian stencils – These identify the passageway and are particularly useful when a passageway runs alongside a forklift aisle. Hatch areas – Generally colored red, these present a Non-storage zone where access is required at all times. Typically used around exits and access points. Fire exits – 5ft square markings with hatches, diagonal stripes and/or solid blocks help to portray the importance of keeping these areas clear. They also help operatives identify exit routes. These are generally red in color. 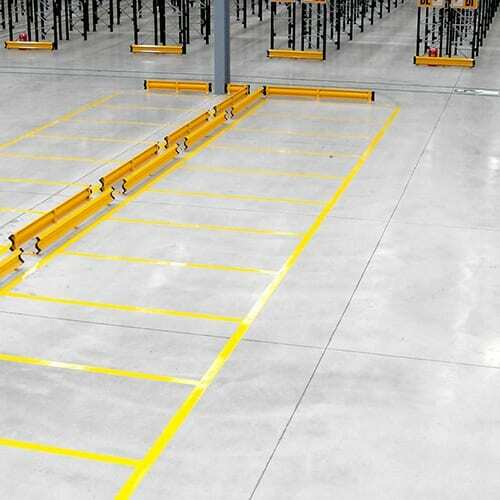 Dock bays – Dock plates which create steps are a danger to those working in this area, typically customers request that a 1ft wide stripe be placed around the edge to highlight this hazard, usually in yellow. Staging lanes, numbering, and storage lanes improve storage efficiency and are typically based on pallet sizes, truck sizes and forklift truck size. 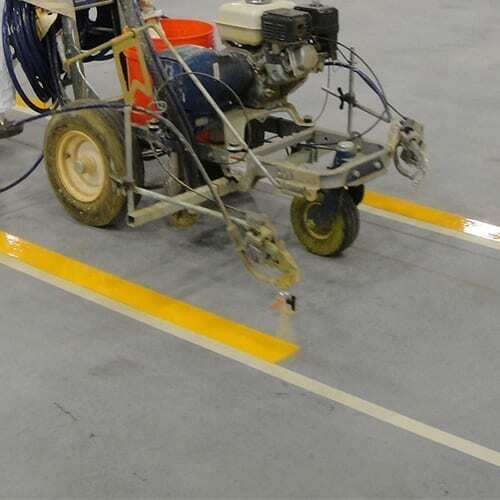 OSHA floor striping standards are more like guidelines which ASG Services can present ideas around and best practice suggestions on to help you and your facility stay safe.